Rubbermaid constructed these lids with durable plastic and molded handles for long lasting performance. Strong, snap-on lids provide secure, stable stacking. 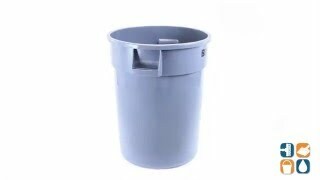 Use this round trash can lid with Rubbermaid 2632 Brute 32 gallon trash cans.